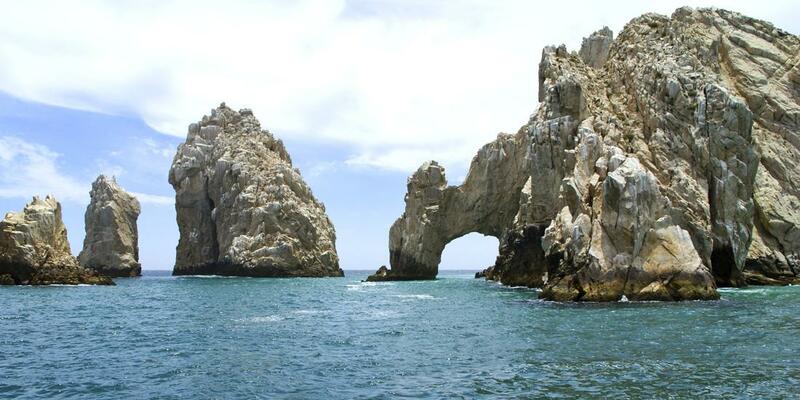 What would you recommend to anglers fishing in Cabo San Lucas, Baja California Sur? It was Fun, 4 hours might be too short 8 was a long day. Its fishing you might hook up or you might not ! Saw a whale, had Pelicans and a sea Lion jump on the back of the boat to get at the live well where the bait was stored. We let him eat it, cause he was pretty big and grumpy. Like all fishing, you have to be a little patient! If fishing in January, dress for some cool temperatures for the start of the trip at 7am, but it does warm up very quickly so dress in layers. If you are fishing with someone young or older or disabled, be aware that it can be physically challenging to land a bigger fish so they might need some help! I would also recommend going to the marina the day before so you can check out the location of the proper dock which will save time in the morning. I would also book the trip early on a website like this as the prices were cheaper and there was a discount on both the fishing and the price of the licenses which were being offered at the marina. If the fish you want are a long distance get a boat that can get you there quickly. If you are planning on fishng close in Panga fishing should be an option, weather permitting. i have fished cabo since the 70's and some of my most enjoyable fishing trips in close are on small inexpensive boats. This trip we did go out a second time on a Panga for a half day and we had a better time and got a nice variety of fish. Cabo is not what it used to be because of the huge increase in fishing pressure and over built maddness. If partying is your thing the fishing is still decent. It was an awesome weather day (very light wind, temp in 80s), but the fish were not cooperating on our half-day. My next trip I will certainly book a full day to get offshore and chase marlin / dolphin / etc - but likely another half day for rooster as well. My charter was lower cost for the half day, but license / bait were not included . . . I paid for those separately - not a big deal (very easy) but just be aware whether it is an 'all included' charter or not. End of Hurricane impacted the first day of our fishing experience...nothing caught and rough seas. Second day was more successful. (four people in our group caught 5 Dorado) Boat and crew were outstanding. 1/2 a Gravol can be choppy at some times. lots of sun tan lotion, keep your feed covered and enjoy the ride lots to see out there Embrace the silence of fishing and leave the cell phones in the hotel. Bring small US bills to buy bait so you can give exact change. Bring sun protection and extra water. Maybe use ear plugs if you are sensitive to loud noises, the Diesel engine is running pretty loud all day. Do your research prior to booking. The most expensive isn't always the best! Out trip was $600 and worth every penny!!! All day and lunch was included. Book through this website only lost of people in Cabo will try to get u to book through the marina. Only book through the website. Don't use this charter. Many of the boats that went out at the same time as us caught lots of tuna and other species. On reflection it seems we never had a chance of catching anything so all we had was a loud and hot trawl around the waters of Cabos. Fishing is fishing... Sometimes a hit, sometimes a miss. Heard we were in prime season for nearly everything. Seen boats back in the harbor flying flags they caught a lot of different things, but we had caught only 1 tuna. A full 8 hour trip is very long with only a single catch. The cheapest price is not always the best deal. Shop around and look at the reviews. A big boat does not always mean big fish. You can catch Marlin from a panga if they are fairly close to shore. What fish are you after and how big of a boat do you need to get where they are? Yes. We caught fish. No complaints about any part of our day. We're experienced anglers and always enjoy a day on the water. I've been on much worse charters in high seas and breathing diesel exhaust andstill caught fish. This was much better. Nice clean boat, good captain and mate. We had a great day but spent most of our time waiting for the fish to bite. Water was very rough and most everyone got sick. No fault of the crew, they worked very hard to put us on the fish. I noticed a lot of people at the marina caught fish, including marlin. 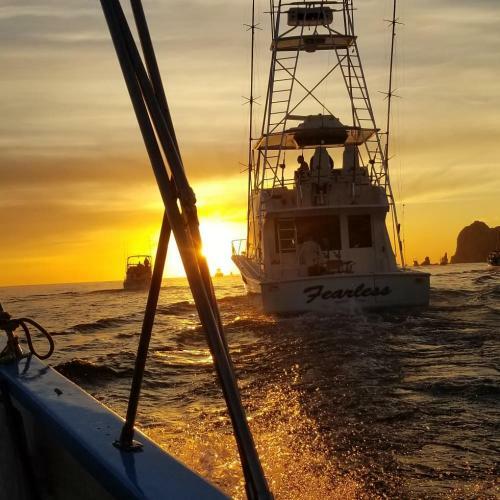 Be realistic with your expectations and go with an attitude that you're going to enjoy Cabo's marine life and being on the water regardless of catching fish. I didn't catch a fish, but since they put flags up on the boats, showing what each boat caught, there was a lot of happy fishermen that day! Our resort room overlooked the bay and every day, I saw a lot of happy fishermen coming in. Get it firmly straight right off the bat what you are expecting. They will otherwise do whatever they please - whatever will make them the most money - whatever is easiest for them. It's a shame but I feel that they use the language and cultural "barrier" to their "advantage". I absolutely recommend the fishing in Cabo San Lucas for first time anglers and seasoned anglers. Just be prepared with proper medications. The seas were 5 to 6 feet in the Pacific the day of our charter. Go to the Marina and look at the potential boat you are going to fish on. (Pictures from the web site are deceiving) Talk to the captains and have them explain what your experience is going to be. Talk to them about their cost and exactly what is included in the trip. Know what to expect before you BOOK!!! Use El Budster, Book the full day trip, take Dramamine before you leave, anticipate the heat on the open sea and drink as much water as beer, understand the costs not included (fishing license, live bait) before you book, tip well - 15-20% obligatory + more when deserved. Shore fishing is difficult in Cabo San Lucas, look to go outside the immediate Cabo shore line. Charter boat fishing was awesome. Bring collapsible ice chest if you plan to have your catch vacuumed packed to ship home and ice blocks. Sure, just gotta take your chances on the weather though since its hurricane season. While we were there we had to ride out tropical storm just south of Cabo for few days till it passed. The week before major storm went through and dumped lots of rain just devastating many businesses. Highly recommend Cabo for fishing. 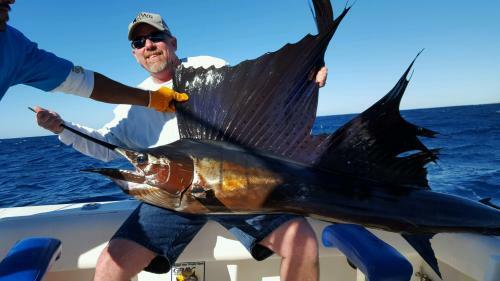 Marlin capital of the world. Been fishing hear since 1994. Don't believed I ever not caught a significant fish. Plus the environment, ambiance and the local people. You go there once you'll be the twice... provecho!!!! Bring sunscreen and a light waterproof jacket. Be ready to fight a fish that won't stop. When you get a fish close to the boat they run and fight even harder! Fishing with live bait is fun because you feel the fish strike while your holding the rod and reel! Bring extra cash for bait, licenses, tips etc. We did, but it's not something that can be done with credit cards. Also, bring some hand sanitizer on boat. Throw on the sea sick patches just in case you get a rough day at sea. And don't count on a nice warm day out at sea, bring some extra clothing. Do not fish the spring. Wait until late summer and early fall. Trolled all day and got nothing but a headache!!!!! !